The grand prix award is given to the company or brand that has had an outstanding past 12 months. 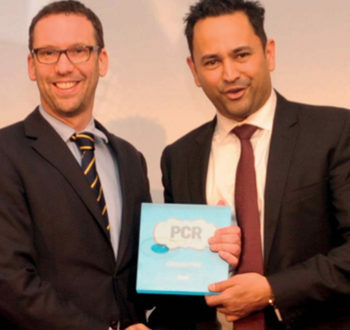 It’s the only accolade at the PCR Awards that is chosen purely by PCR, rather than being voted for by the judges, and is usually incredibly difficult to pick a winner. However, this year, while it’s usually very difficult to choose a winner for this accolade, Dell had an exceptional 2015, making it the strongest contender for the Grand Prix award this year. 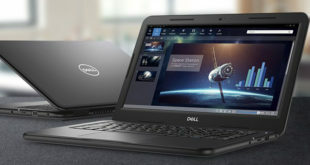 Over the past year, Dell made a dramatic shift in strategy as it hopes to become the number one PC vendor in the world. While it remained the number three PC vendor in 2015, with nearly 40 million units sold according to IDC, the firm increased its share of the global market from 13.5 per cent to 14.1 per cent. For many years Dell sold computers direct to customers, but over the past few years it struck distribution deals with the likes of Ingram Micro to offer a larger product range – software, hardware and services – to commercial customers in the channel. In 2015 alone, Dell made its portfolio available to Tech Data and also signed a deal with Exertis to bring its products back to retail. Another big change for the firm was, of course, going from a public to a private company back in late 2013. By placing a great emphasis on its partners, Dell has won the channel’s favour. 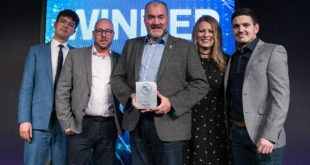 Today, Dell’s channel business generates more than half of its EMEA business revenue, with over 70 per cent of its enterprise business going through the channel. 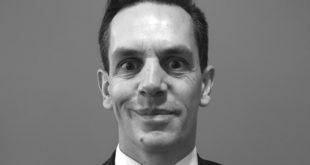 It recorded double-digit revenue growth through distribution in 2015 and welcomed thousands of new partners to its PartnerDirect programme in 2015. More than 24,000 new resellers purchased Dell products and solutions through Dell’s network of distribution partners last year. Plus, more partners benefitted from training and support: in 2015, 27,771 Dell competency courses were completed across the EMEA region. At Dell’s PartnerDirect conference in Vienna in late 2015, the company’s founder and CEO Michael Dell told PCR that his business has enjoyed 11 quarters in a row gaining share in its client business, since going private. In terms of products and services, the firm’s portfolio is incredibly broad. From gaming to the enterprise, PC hardware, servers, storage, security, printers, networking and more, Dell is hoping to accommodate both the home and business. Its Alienware brand is making waves in the growing PC games sector, having launched a Steam Machine in 2015 and becoming an Oculus hardware partner for the Rift VR headset earlier this year. Dell also made additions to its Latitude notebook portfolio, Vostro 3000 Series desktop and notebook products, servers and more. Putting all of that to one side, Dell’s swoop for VMware owner EMC last year was one of the biggest stories in the tech world. Not only is this an ambitious acquisition, at £44 billion it’s actually the largest deal in tech history. Considering EMC has some 70,000 staff worldwide, and has subsidiaries including RSA, it could turn Dell into a true force in the enterprise computing arena. On the corporate responsibility side of things, Dell has environmental and community-based activities, its own diversity and women in tech initiatives, and has partnered with Exertis to raise money for the TechAid charity.